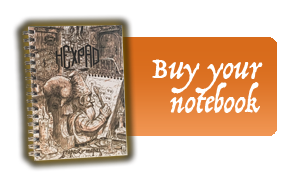 In a house dug between the roots of a great willow, lives Leocadius the gnome along with his mascot, Bubu the shrew. Leku, as everyone knows him, spends much of his time traveling, scoring and mapping everything he discovers. 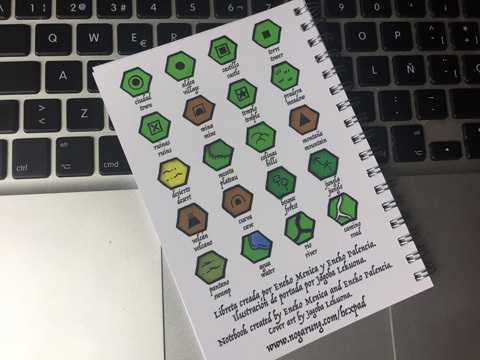 When Leku returns home, he records the places he has visited on maps filled with hexagons and stores them in large volumes that he stacks on the shelves of his library. 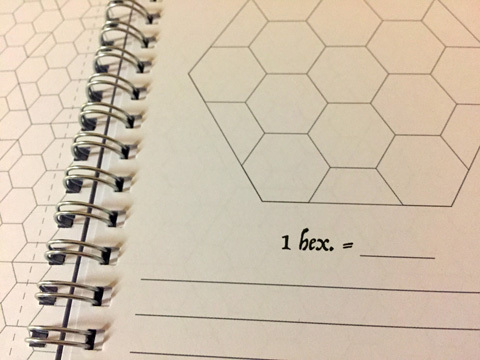 There are so many hours drawing hexagonal planes, that the little cartographer lives obsessed with number six: he only sleeps six hours, makes six meals a day (breakfast, brunch, lunch, snack, supper and dinner) and his entire economy is based on multiples of his favorite number. 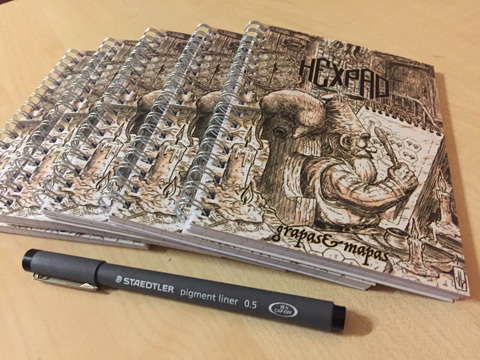 In addition to the incredible cover artwork by Jagoba Lekuona, the hexPads are made up of DIN A6 size (105mm в 148mm) 50 pages (100 faces) printed on 90gr paper, all of them joined with metal spiral for easy writing. The two page configurations have been specially designed to be used in different ways, with the intention of obtaining a versatile tool for role playing games. 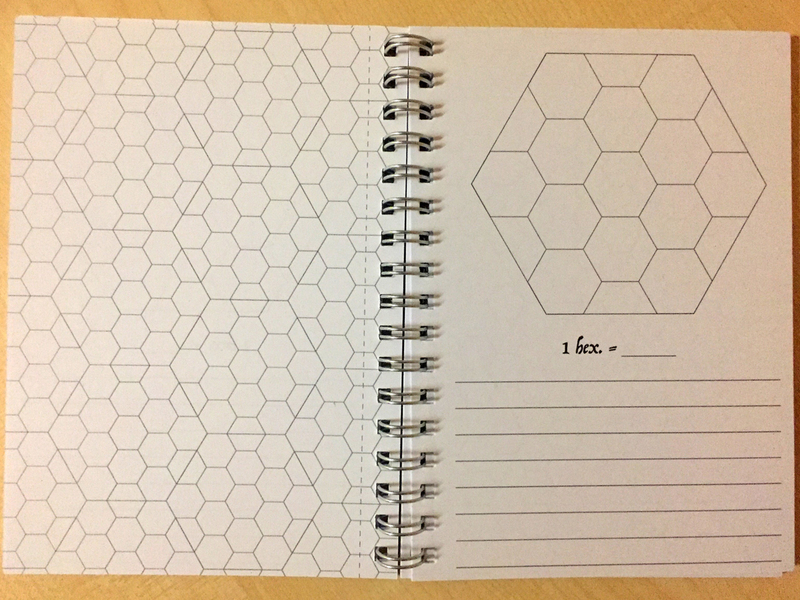 The pages on the left contain a hexagonal "mesh" divided into "sectors". In addition they include a discontinuous vertical line thought to cut the pages and to facilitate the fit with others forming bigger maps. 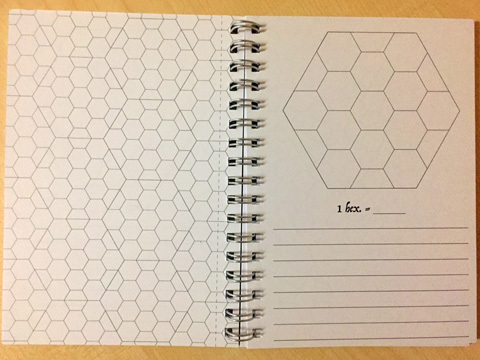 The pages on the left contain a hexagonal "mesh" divided into "sectors". 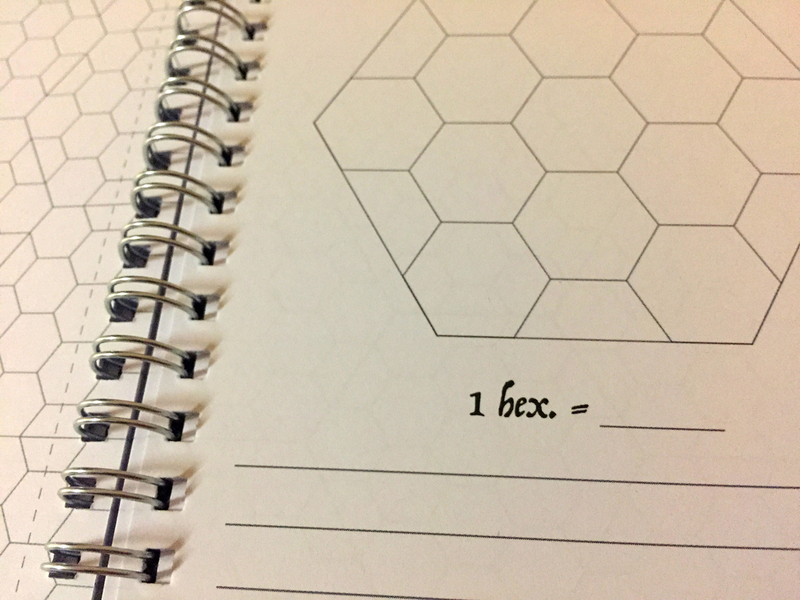 In addition they include a discontinuous vertical line thought to cut the pages and to facilitate the fit with others forming bigger maps.Hexomorfo System. 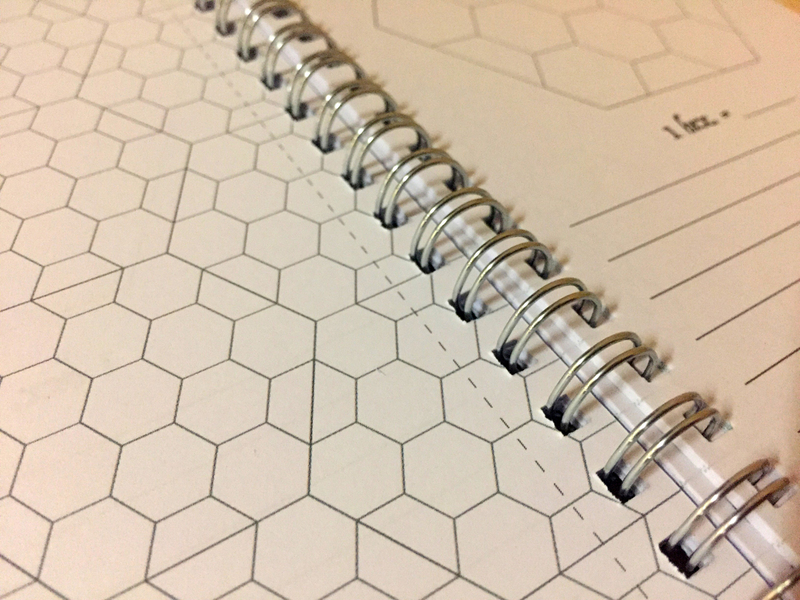 Designed to recreate more details and make notes. 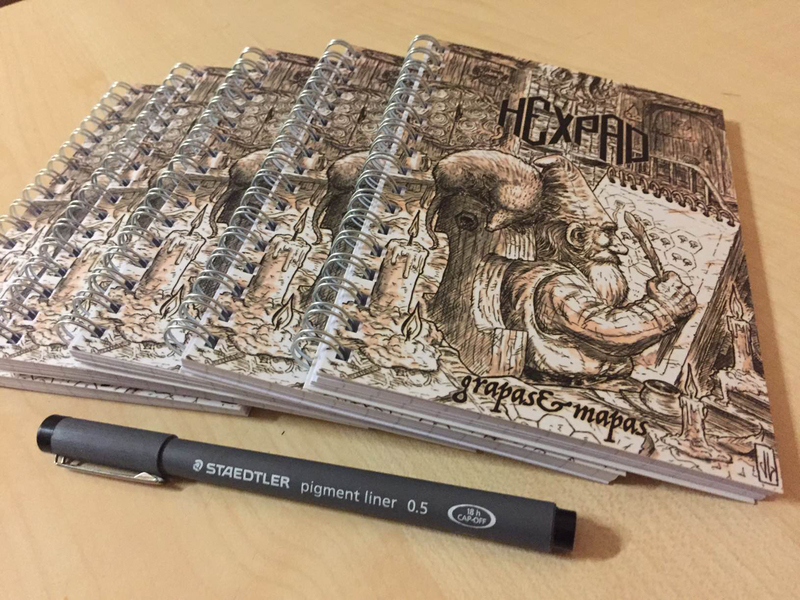 Surprisingly, we have finished the first print in less than a week. Thank you very much! 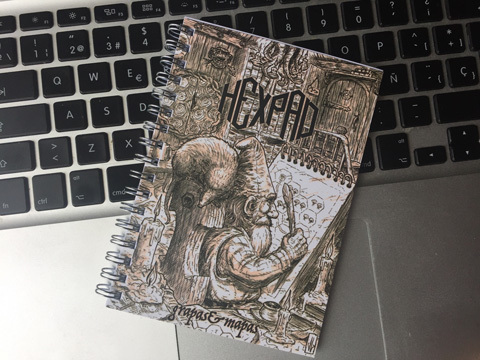 We plan to do a new edition, but before we want to receive some feedback.